This listing is for 146 brand new, mint sheets of ten 1975 St. Vincent 200th Anniversary of American Independence stamps! Please see our detailed photos for best assessment, and feel free to ask any questions you may have before making your purchase. 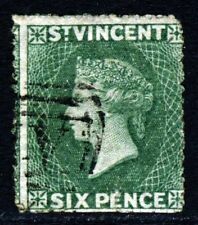 Six Pence Deep Yellow-Green. made with love by. Very Fine Used Catalogue Value £200 . 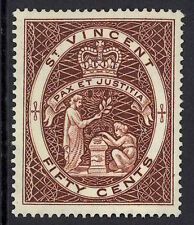 ST VINCENT Queen Victoria 1892 SG59 5d on 4d chocolate - very fine used on piece. Catalogue £60. ST. VINCENT SG1b, 1d rose-red, M MINT. Cat £275. Canada 1929 50c Bluenose (fishing schooner), SG 284. Fine used, CDS. Catalogue value £55. 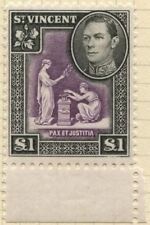 ST VINCENT & THE GRENADINES 2005 200th ANNIVERSARY 1805-2005 THE BATTLE OF TRAFALGAR SOUVENIR SHEET. Year of Issue 2005. 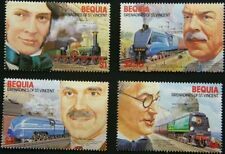 1979 Independence set unmounted mint. St Vincent. INTEREST-FREE CREDIT OPTIONS UK Personal Cheque. GRENADA 1992 OMNIBUS COLUMBUS MNH. 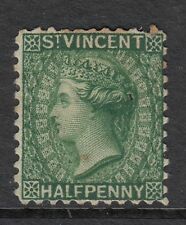 MINT Lightly Hinged - Original Gum. made with love by. Catalogue Value £42 . NO INTEREST | NO CATCHES | NO SMALL PRINT. UK Personal Cheque. Type Souvenir Sheet. Year of Issue 2005. 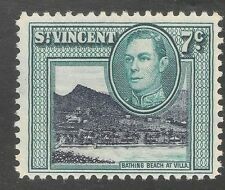 ST. VINCENT KED 2d RARE UNUSED REGISTERED LETTER PS W/ SPECIMEN OVPT. 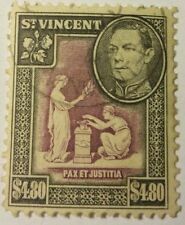 ST. VINCENT SG162-163, COMPLETE SET, NH MINT. Cat £27. RSW. St Vincent. 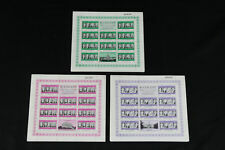 full set in blocks of 4. mint never hinged. MH is mint original gum hinged. Fine lightly used. (SG Cat - £140).